June 2018 marks the second year of our return offering papier mache classes to those seeking something that challenges their creative nature and dedication to hard work. This June we feature three different project classes, this may be the last time some classes are offered in the studio. 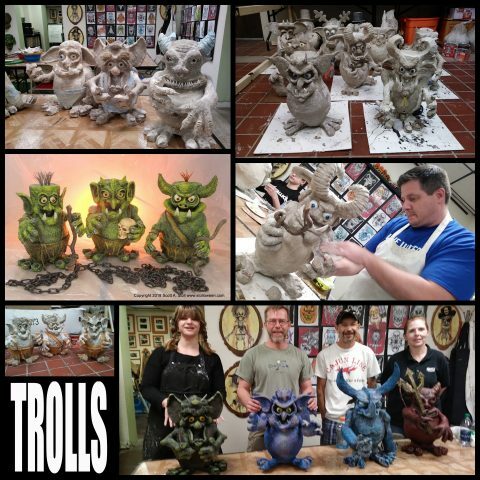 This will be the last troll workshop for the year, one of the most creative and fun projects offered at the studio. The Troll Workshop will take you from armature construction to paint all within this four week class. You will work with traditional strip mache as well as sculpting with our custom made paper clay. This class is starts with a very simple armature technique, yet gives you the chance to be as creative and complex as you desire. Whether you are into Halloween or Trolls or just learning something new, this class will prove to be a fun and creative experience. 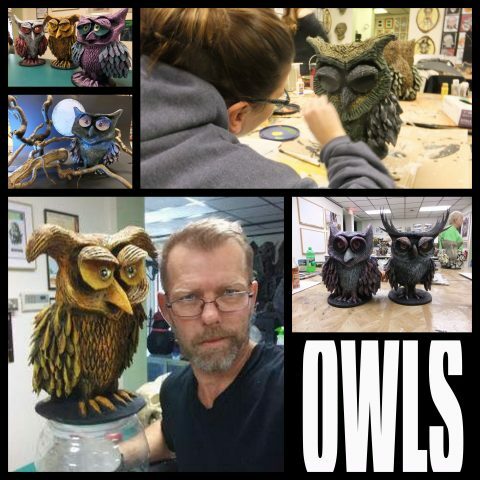 The owl workshop is a winner as you design your very own owl using simple construction techniques. You will work with traditional strip mache as well as sculpting with our custom made paper clay. This class will use my custom created templates guaranteeing a successful project. Even though everyone uses the same techniques there is plenty of room to allow you to create a piece that reflects your individual style and vision. The return of a class favorite, and we introduce a new twist allowing you to create a “character tombstone,” a fun prop that will put a chill down anyone’s spine. 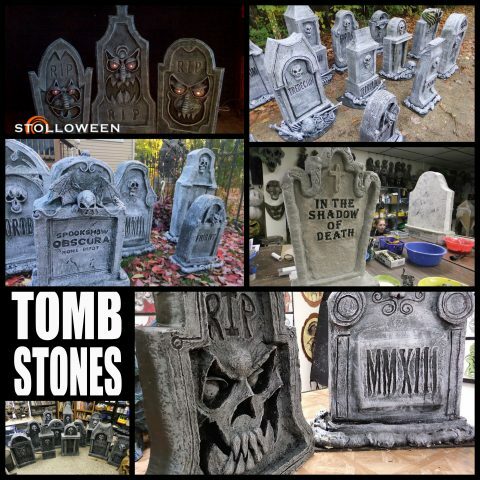 This class will allow you to build whatever style of tombstone you desire. NOTE: The tombstone project requires a large amount of materials so in addition to the class fee you will need to also supply a 5lb bag of white flour, your own hot glue sticks (approx. 25) and your own cardboard. Workshops start at 6 pm sharp with the studio opening 15 minutes prior if you wish to get situated and socialize. **The cost is $100 per person which includes a total of 12 hours of studio time plus all materials. Class size is limited to 8 seats.